With ball season & mid-winter Christmas parties just around the corner, we thought we'd share some insight on beauty brilliance from one of our favourite hair & make-up artists Rachael Brook. We were fortunate enough to work with the seriously talented Rachael on our RUBY Hanaautumn/winter 15 campaign with American model, Roxanne. What was your beauty brief for the RUBY autumn/winter campaign shoot? 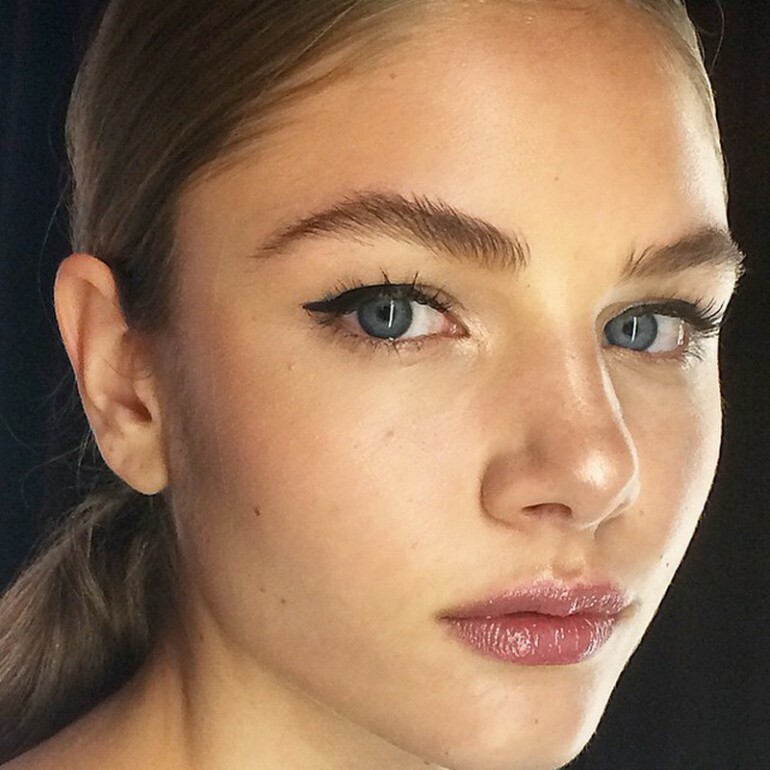 The beauty brief was simple, sleek hair with a graphic cat eye and flawless, dewy skin for make up. How would you describe the makeup & hair look you created for Roxanne? I kept the hair minimal - a middle part with a sleek ponytail- so the make up and the clothes could really be the stars of the show. For make up, I enhanced Roxanne’s already incredible eyebrows, added a black, graphic winged liner, and a few lashes of course. I gave her skin a dewy, highlighted look and made her lips look naturally stained for a youthful vibe. 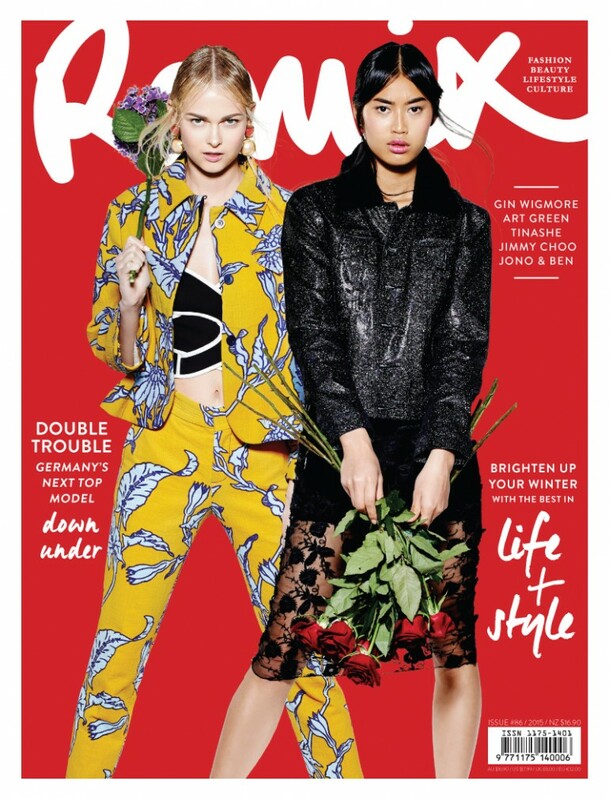 What were the key products used to create Roxanne’s look? M.A.C Face & Body Foundation, M.A.C Mineralize Skinfinish in Soft & Gentle, M.A.C Fluidline in BlackTrack and Benefit’s Benetint for make up. L’Oreal Elnett Hairspray and my new Rose Gold ghd for hair! What’s the best thing about working with Steven Chee? The best thing about working with Steven is that you’re guaranteed to have an enjoyable day, with gangster beats playing in the background, and beautiful images at the end of it. We also have a bit of a brotherly/sisterly type of friendship, which adds a bit of fun to the day. What’s your favourite piece from our RUBY autumn/winter 2015 collection? The Zanshi Crop Top. It’s my favourite because it can be mixed and matched with so many cute pieces, and because it comes with a matching skirt, and anything co-ord is a winner in my books. Autumn is my favourite time of year, not only because it’s when I celebrate my birthday, or because of fashion week, or because the leaves falling from the trees make every day feel a little romantic, but mainly because it means I can start playing around with my clothes again. In Summer I’m just too damn hot to wear most of my favourite styles, so the moment it starts to cool down I feel like I’m back in the fashion game. What’s your favourite job you’ve done to date? That is a very, very hard question to answer! There have been so many! I feel like I should say the Vogue Cover Shoot that I worked on with Steven, because obviously that’s a huge deal and such an amazing opportunity to be a part of something that iconic. Although, the jobs I enjoy most are the ones where I feel like I’ve really created something beautiful, and different, and where I’ve been challenged, and I probably get that feeling mostly on test shoots – particularly the ones with Steven! I also thoroughly enjoy creating YouTube tutorials, which is new for me, but a nice addition to my career in make up. What’s the best location that your job has taken you to? The Cook Islands, for a week with Cosmopolitan Mag. Aitutaki was my favourite spot to be exact. It’s the most beautiful place I’ve ever been. The water was blue and crystal clear, the beaches were empty and the sand was perfectly white. The locals were incredibly friendly and welcoming, and it was just a great trip overall. I always dream of going back there. Winter has officially arrived and it’s chillier than ever. 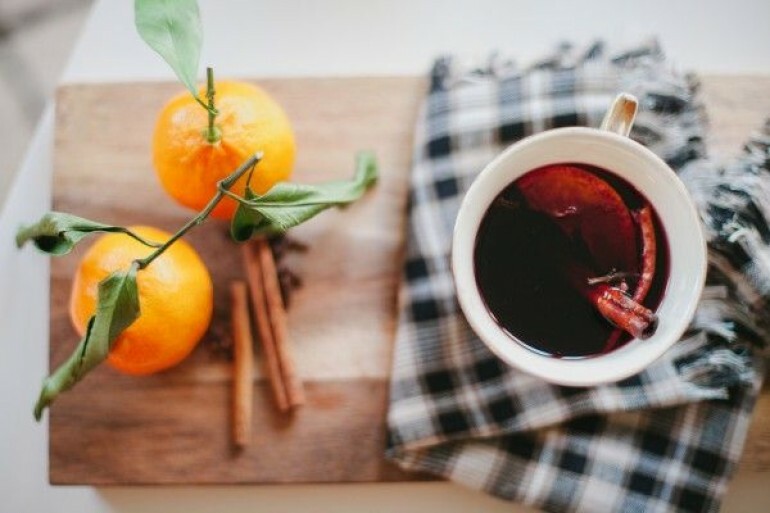 One of the few things that can pull us out of our winter blues is a warm glass of mulled wine, especially when it’s homemade! 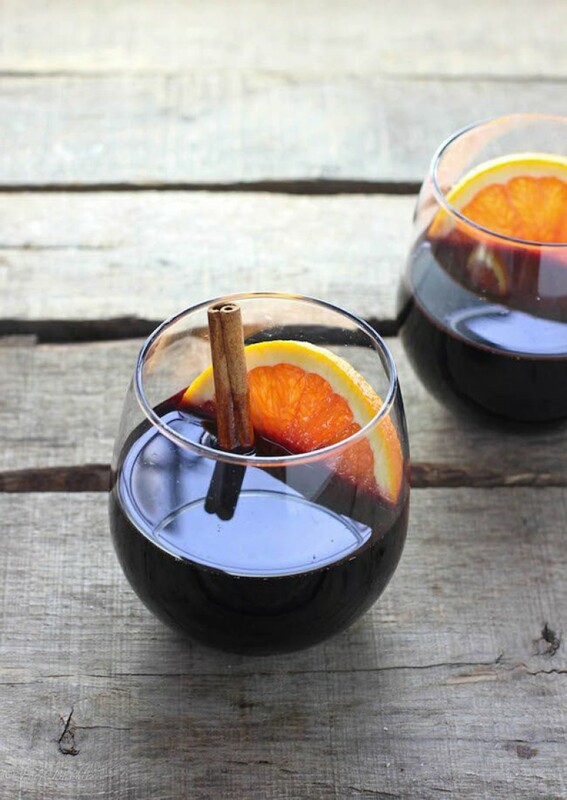 We visited our great friends down at Cocos Cantina who have shared their tips and tricks to mastering the perfect mulled wine. First things first, you need to combine the water and sugar at boiling point. Let it reach a dark caramel consistency, at approx. 157c. 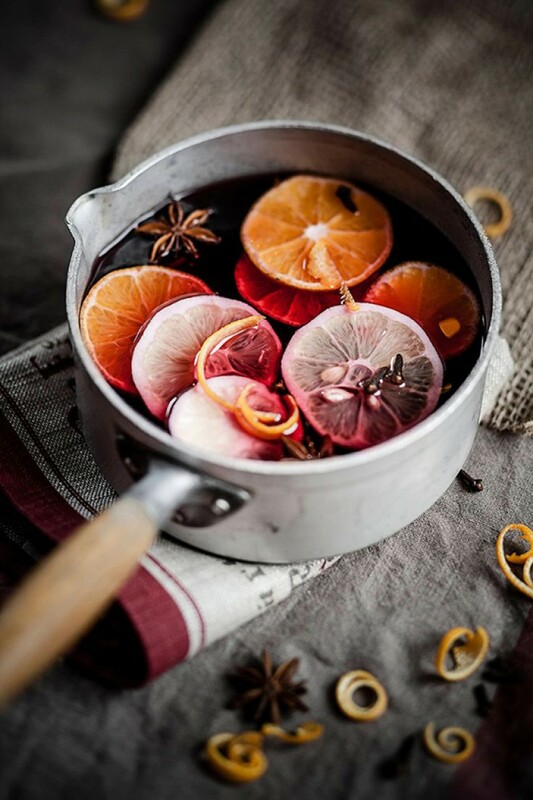 Once you’ve reached the desired temperature, slowly add your mulled wine base, while swirling the pan to dose the caramel. Slow being the key word – add it too quickly and the caramel will stick. Now the wine has dissolved, it’s time to add your aromatics – cinnamon, peppercorn and the bay leaf – let it simmer for 20 minutes to infuse flavours. After you’ve allowed the base to simmer, add two bottles of wine on low heat. Make sure the heat is okay for tasting, as now it’s time to judge the flavour! Too sweet? Add more red wine… Not sweet enough? Add more caramel base. Yum! The final touch is the addition of some nutmeg, your cloves and 5 oranges all at the same time. Add 90 mls of brandy for a heavy body and you’re good to go! Best served with a good group of friends and a crackling, warm fire.